The Santa Rosa home of the late Peanuts creator Charles Schulz has been destroyed by one of the many wildfires hammering California’s North Bay area this week, which have so far claimed 31 lives and destroyed 3,500 homes and buildings. The bulk of the cartoon genius’s original works are safe in the Charles M. Schulz Museum and Research Center in Santa Rosa, but the home Schulz last lived in with his wife Jean until his death in 2000 burned to the ground. His widow escaped to safety. 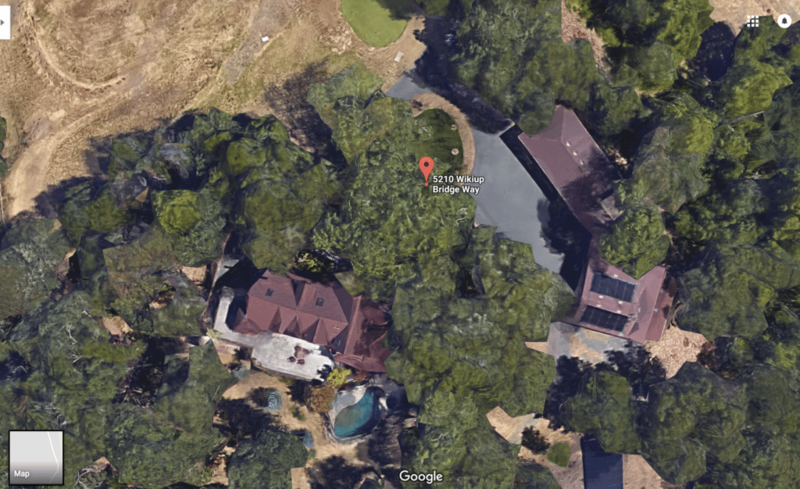 Google Satellite Image that Inman has reason to believe is the property in question. Schulz’s son Monte told the Associated Press, “All their memorabilia and everything is all gone.” The couple built the split level, hillside Santa Rosa home in the 1970s. Schulz’s other son, Craig, also lost his home in the Santa Rosa fire, according to the San Francisco Chronicle. The Schulz family are long-time North Bay residents. Charles built a home in Sebastopol with his first wife in the late 1950s. The Santa Rosa airport is officially known as the Charles M. Schulz Sonoma County Airport.